← Is Superman II as Good as It Gets for Superman Films? It’s not easy directing comedy films. You can be seemingly unstoppable one minute and then have everything change the next for a number of reasons. Moviegoers’ tastes may change and certain styles of comedy go in and out of favor. Or you might try to recreate past successes and end up becoming stale. Take, for example, the parallel careers of Ivan Reitman and Barry Sonnenfeld. For a while, these two directors seemed to be on top of the comedy world. 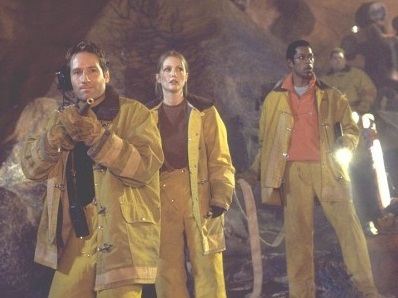 But then they stumbled for a decade or more starting in the late ‘90s. They’ve recently seen their stars begin to rise once more, and we’ll have to see if they can rekindle their old careers. Ivan Reitman did a couple of little-seen comedies with Eugene Levy in the early ‘70s, but he really turned heads with 1979’s Meatballs, a fun summer camp movie starring an incredibly young Bill Murray. He worked with Murray again on his next two films, as well: the R-rated Stripes and the PG-rated Ghostbusters. He continued his astonishing string of hits with the underrated Legal Eagles, the charming Twins, the decent sequel Ghostbusters II, and then the wonderful Kindergarten Cop and Dave. Junior wasn’t exactly a runaway hit, but it has enough positive qualities to it that I would definitely include it among his better films. Barry Sonnenfeld had an excellent start with 1991’s dark comedy The Addams Family. He followed that up with the so-so Michael J. Fox vehicle For Love or Money. But then he bounced right back with the superior sequel Addams Family Values, Get Shorty, and, of course, Men in Black. Things fell apart quickly for these two directors. For Reitman, it was 1997’s Fathers’ Day that started him on a quick descent into mediocrity. He followed that up with the odd Harrison Ford/Anne Heche pairing in Six Days Seven Nights. Then came two true bombs: Evolution (a rip-off of Reitman’s own Ghostbusters) and My Super Ex-Girlfriend (which was surpassed in every way by the excellent Hancock two years later. Reitman would ironically produce that film). Sonnenfeld disappointed Will Smith’s fans with the abysmal Wild Wild West. It managed to make a considerable amount of money, but it signaled trouble ahead for the director. That was further realized with 2002’s Big Trouble. Based on a Dave Barry novel, this movie was a victim of circumstance because no one wanted to see a crime comedy set in an airport in the aftermath of 9/11. 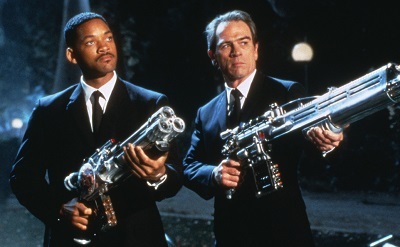 After his success with making a sequel to The Addams Family, it seemed like Men in Black II should have been great. But this lame sequel disappointed fans of the first film. He then made the dull Robin Williams vehicle RV before disappearing into TV movies for several years. Reitman made his first R-rated movie since Stripes in 2011 with No Strings Attached. The romantic comedy managed to turn a profit, and he capitalized on that success by making his first drama: Draft Day. 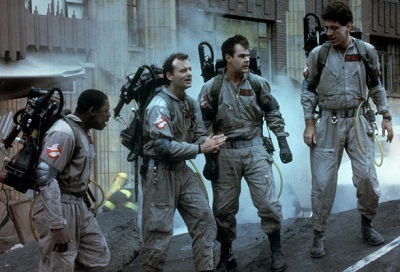 Next on his plate is a return to familiar territory with a reboot of Ghostbusters, which he is producing, and a sequel to Twins called Triplets, which he is directing. Danny DeVito and Arnold Schwarzenegger will be joined by Eddie Murphy as their long-lost brother. The premise sounds just insane enough that it might actually be funny. But all three of these actors are long past their prime, so I’m cautiously optimistic about this movie’s prospects. 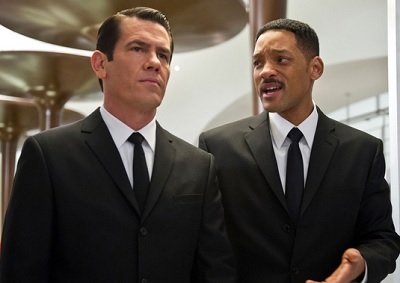 After languishing in TV territory for years, Sonnenfeld made his return to the big screen with the surprisingly good sequel Men in Black 3. Next up, he’s working on a comedy that sounds like Oh! Heavenly Dog meets Garfield. It’s called Nine Lives, and it’s about a man who gets stuck in the body of a cat. It’s got a great cast, and hopefully it will help Sonnenfeld start a new winning streak. Ivan Reitman and Barry Sonnenfeld have reached great highs and lows in the three stages of their directorial careers so far. I’d say the future looks fairly bright for them. Even if they never recapture their old glory, they’ve made a lot of movies they can be proud of. And we can keep enjoying them long after they’ve stopped making new movies. This entry was posted in Random Stuff and tagged barry sonnenfeld, comedy, directors, films, funny, ghostbusters, humor, ivan reitman, men in black, movies, sequels. Bookmark the permalink. For Ivan Reitman, it’s also good that his son Jason is keeping his legacy alive. Even if Labor Day was a bit too dull, even with its nice touches of lessons in manhood (proving that Jason shouldn’t get too small), and Men, Women, & Children being the Crash of social networking (though it had better intentions than most, a nice little dramatic performance from Adam Sandler, and a fantastic poster). True. Not every director has quite as long a dry spell as Francis Ford Coppola, though. Most of what he’s done since 1979’s Apocalypse Now has been substandard compared to his early work. One from the Heart, Rumble Fish, The Cotton Club, Gardens of Stone, and Godfather Part III were all so-so at best. Admittedly, The Outsiders, Peggy Sue Got Married, and Tucker: The Man and His Dream were great.